The Stealth is a powerful 2-in-1 device that is the professional, concealable and quick click device for vaping Juice and Concentrate. Offering up great flavor and crystal smooth texture, the simple, yet elegant, always ready to go. Flip box mod: To flipping out the atomizer, just hold the box mod with your right hand, and press the flip button on the tip left side. To hide the atomizer, press the flip button and press down the atomizer. Multiple way of carry around: built-in hanging hole,provide an extra way to carry it around with you lanyard.Keeps your device safe and secure while providing the quick accessibility you need during the day or night, keep you box mod within reach all times. USB charging: The convenient built-in USB charging allows you to charge it anywhere with your power cord, always ready to use on the go. 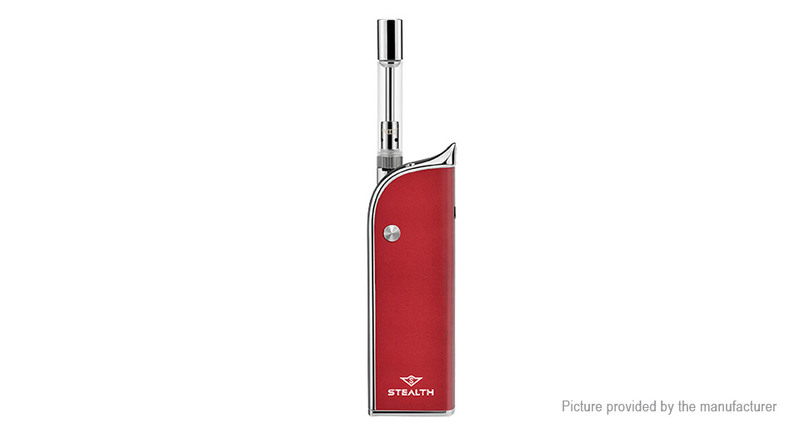 Compact and portable: The Stealth sets it apart from the rest with its simplistic design but useful. Small and discreet fits in the palm of your hand, super compact and portable. lt is designed for stealth operation and maximum portability to use on the go.